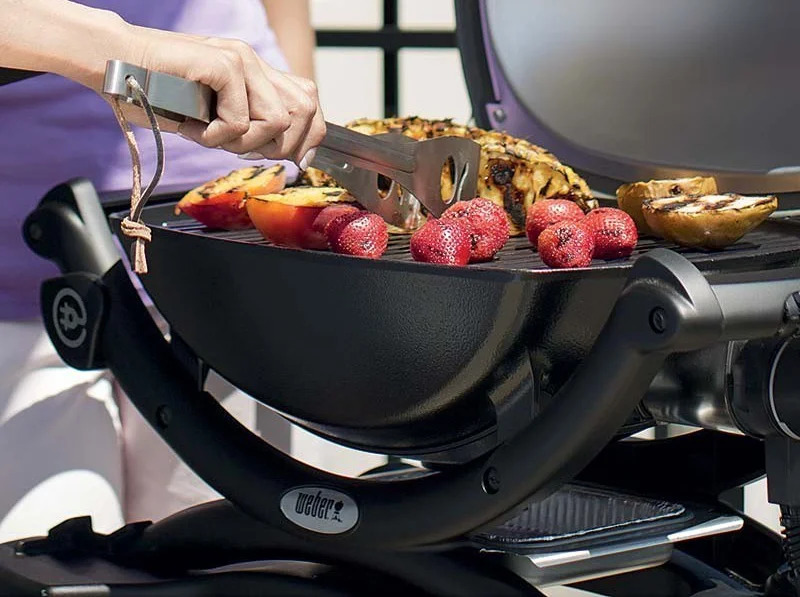 Gas, Charcoal or Electric BBQ - There is a Weber for everybody! There is a Weber for everybody! It is over 60 years since the first Weber barbecue saw the light of day. At that time the kettle barbecue and its lid were a barbecue revolution, and it continues to enchant people around the world to this day. The most important thing is to find the barbecue which is perfect for you and your family-you simply need to work out what you need. Perhaps it is your first barbecue and you want something which can teach you the basics, or you may only barbecue a few times a year but would like to do so more often-without consuming a lot of your time. The Weber family has four ranges, ensuring there is a Weber to suit everybody-whatever your situation. You simply need to work out which range best matches you, your family and your daily routine. The original charcoal classic is available today as the traditional model, with a few enhancements, and as a luxury model with a work surface, lid holder and other features to make life a little easier. The modern, mobile version of the gas barbecue, developed to take with you on the move. Ranging from models small enough to take on a picnic to ones large enough for entertaining on the patio. Handy practical barbecue created for places where gas and briquettes are prohibited. The kettle barbecue is for people who want to barbecue the way it has always been done. For those who only barbecue occasionally and therefore want the traditional barbecue experience every time they pull out their chimney starter. 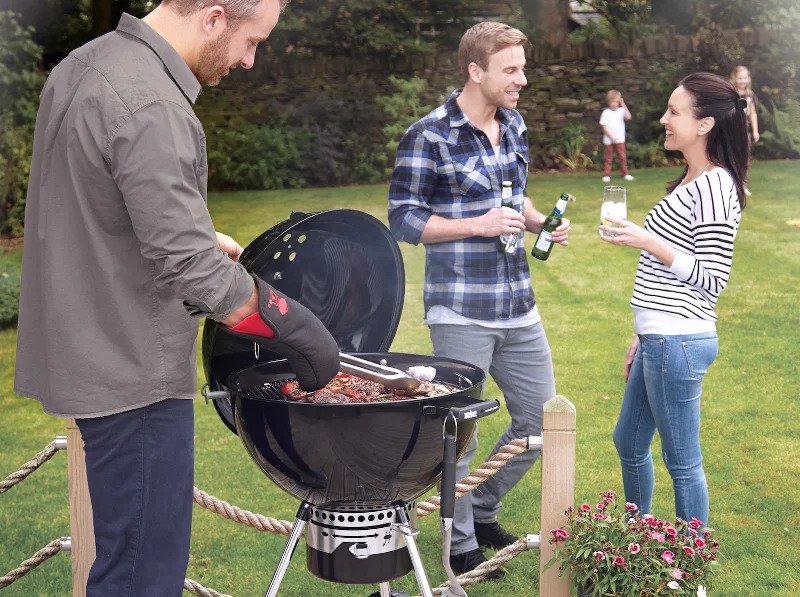 You don't mind spending a little extra time to get the briquettes ready-and look forward to sipping a glass of red wine as they transform into glowing embers, It's the ultimate, classic barbecue and can handle anything from barbecued roasts and steaks to baked items and stir fries. Smokey Joe® | Mini charcoal barbecue-ideal for picnics. Go-Anywhere® Charcoal | Rectangular barbecue you can fit in the boot. One-Touch® Premium | The original kettle barbecue with a few enhancements. MasterTouch® | All the features of a One-Touch° Premium with the added extras of a Tuck-Away lid holder and integrated Gourmet BBO System grate. Performer® Deluxe | A MasterTouch with a work surface, storage box and gas ignition. It also comes with a Gourmet BBO System Sear Grate accessory. Who says you can only barbecue on the weekend when you have lots of time? A gas barbecue makes it easy to get started, no matter how much time you have available and you needn't worry about missing out on authentic barbecue taste. button - and five minutes later you are ready to go. Blind taste tests have found the taste identical with the taste from a charcoal barbecue, This is because Weber's popular Flavorizer® Bars add the hint of smoke needed to create the perfect barbecue taste. 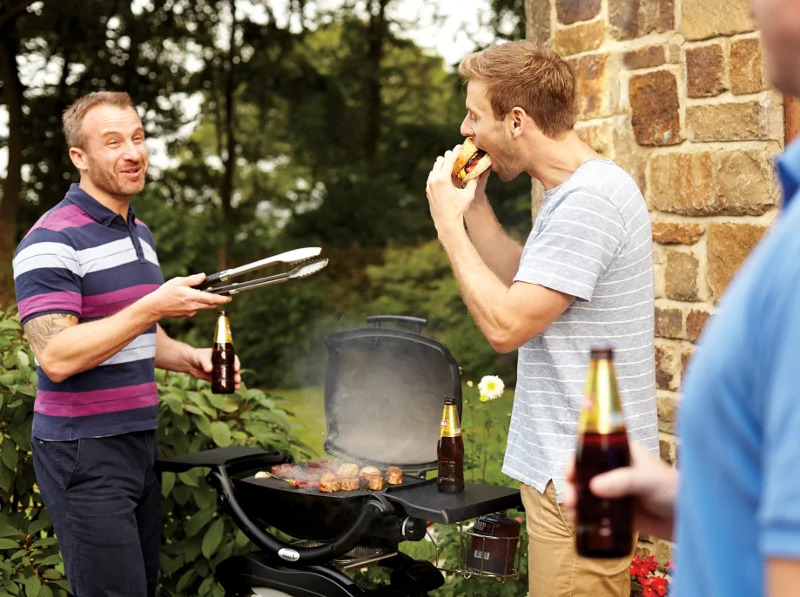 Weber Spirit BBQ® | Sensible gas barbecue without too many bells and whistles, Perfect for people who want to start experiencing the joys of gas barbecuing. Side burner is available as an option, Available with two or three burners. Weber Genesis II BBQ® | Top quality barbecue packaged in a stylish modern design. Example options include a rotisserie, side burner and sear station. Comes with three burners. Weber Summit BBQ® | The ultimate gas barbecue-with four or six burners and loads of extra features-rotisserie, smoker box, side burner, sear station, infrared burner, lighted control knobs and more. For the discerning user. Forget about complex theory and bewildering control buttons. Barbecuing should be simple and easy-and it is with the modern Weber® Q® gas barbecue. The Q® series is ideal for anyone who wants to get off to a quick barbecuing start-and who wants the best result without having to think too much about barbecuing theory. Just press the button and the barbecue is lit. Then all you have to do is adjust the heat, as you would on a stove. Q1000/Q1200 | Small portable barbecue with cast-iron grate-for everything from chicken fillets to small roasts. Q2000/Q2200 | Practical and user-friendly barbecues for use on the move and at home-cooks for up to 6-8. Q3000/Q3200 | Top class gas barbecue for everyday use with plenty of space and two burners. Capable of barbecuing anything from steaks and pizzas to whole chicken and large roasts. The biggest model has electronic ignition and a handle light. The electric member of the Weber® family, Q1400 addresses this problem, It is the solution for people who always want to be able to barbecue, but sometimes find burning briquettes and gas is prohibited at their campsite, holiday location, etc. For safety reasons. Just plug in the barbecue and you are ready for loads of good barbecuing experiences. The barbecue only uses about 2.2kWh in an hour, so you need not fear an expensive electricity bill! Q1400 | Small and very portable electric barbecue-perfect for chicken fillets and small cuts of meat. DID YOU KNOW… The Weber Q electric barbecue is designed to ensure you always get the perfect barbecue taste? The lid is fitted with an aluminium heat reflector, producing an extra high temperature. The barbecue also comes with cast iron grates, which get extra hot and give food the ideal barbecue pattern.